As this online Market unites urban chemical-free growers and local health-conscious consumers within the St. Petersburg Community, this blog builds more community commitment to improve our health as we share experiences with the chemical-free produce and products we obtain from the Market. All are welcome to post relevant feedback on experiences related to preparing this fresh produce for your table. Through sharing we teach one another new options for a healthier diet. Maybe I’m going overboard with this “waste not, want not” attitude but when I read that carrots tops are a controversial subject on the internet—some say they can be toxic when eaten--I just had to defy that argument and taste them. We have been growing and eating collards for the past three years and the stems always feel so tough that I am prone to tearing collard leaves off their stems and tossing the stems into the kitchen compost bucket. “So enough, already, with the michihili!” they cried out. Relax… this post is about the bean sauce recipe I posted about. I just happened to pour it over michihili stems which I cooked for a zillion years first. We ate the flowers raw, of course. Michihili flowers when mature. Many of you now trying michihili are likely savoring the zesty flavor of this Chinese cabbage type. I know I am. But lately I’ve lost my patience (again) with the stems which require a lengthy cook time, can be fibrous and therefore not totally chewable. So a few nights ago I decided to prepare the leaves and “opt out” of messing with the stems. Stress relieved! I stripped the leaves as outlined in blog post The Challenge of Michihili and steamed them just as I would young collard greens or baby beet greens. 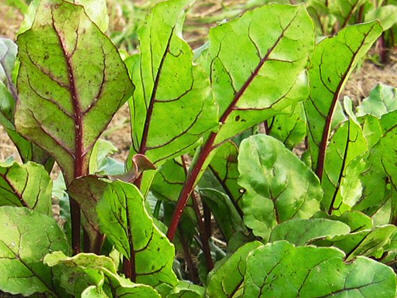 The juicy taste of fresh michihili greens restored my commitment to continue eating them. So why do I keep trying to assimilate michihili into my diet? 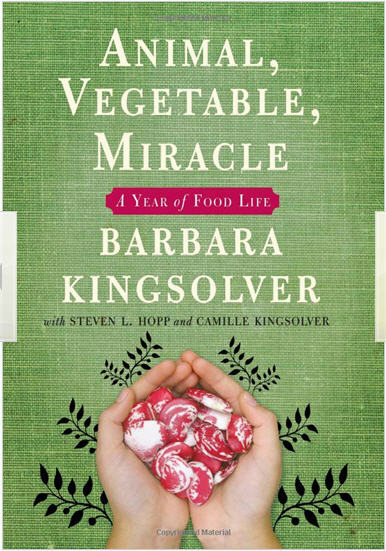 As I’ve been trying to “waste not, want not” with this Asian vegetable, I realize that I am applying one of the practices that Barbara Kingsolver prescribes in her best seller “Animal Vegetable Miracle”. Last year I posted comments on this book in another blog and they apply in this case as well. My continuing adventures with the abundance of michihili in our garden, for as long as it lasts, stem back to an important lifestyle classic of our times and a must read for those moving towards a self-sustaining lifestyle. At a recent holiday party someone told us that the best Chinese restaurant in town was located near where we live. Talk about "local"! The ABC Chinese Seafood Restaurant is in walking distance from our home and we've never been there, probably because it is in a strip mall near an auto parts store. I mean, how good could that be? Well, open mouth, insert foot. When I’m in a hurry I still try to eat healthy and today was no exception. I had almost finished eating my quickly prepared lunch when I realized I was missing a photo op! I'm very happy to to have found St. Pete Locally Grown! There's nothing better than fresh food that helps people in my own community! I'm turning everyone at work onto the site! I found this on a blog from mizk1 - Wash the greens well to remove any grit. Chop the stem into 1/4" pieces (bundle together and chop) and the leaves in 1/2" strips (roll in cigar shapes and slice). StPeteLocallyGrown.Net 2010-2013. Picture Window theme. Powered by Blogger.